Reflector Enhancer Epoxy flooring have been the hottest and most demanded commercial and residential floor product since they were introduced on Canadian market. Tiles, hardwood, laminate, carpet, terrazzo..... All of them were customers choice and each has obvious disadvantage to add to the lack of design options. Epoxy flooring raises the standard of floor covering options, offering finishes that instantly catching ,,Wow'' factor, much more durable than conventional flooring products and yet beautiful enough with unlimited colour.design and pattern choices. Lastly they are very cost effective and mostly time more affordable than conventional flooring product. They will never stain like carpet, hardwood or grout lines; will not crack like tile and will not gouge or squick like wood flooring. 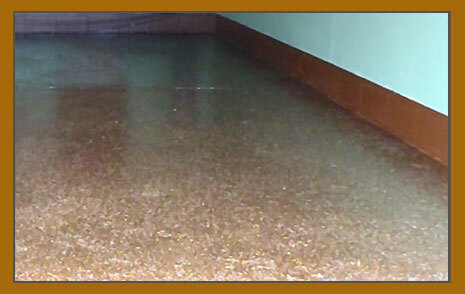 Reflector epoxy flooring is ideal for residential spaces, retail stores, medical offices, garages and so much more. Reflector Enhancer epoxy floor system is fluid applied onsite creating tough, seamless finish without grout lines. Literally it has a tremendous compressive, tensile strength and abrasion resistance compared to tile, carpet, hardwood and polished concrete. The end result is a floor that will enjoy you for a long period of time.